I have been keeping a secret from you all. Back in April, Hubby and I were thrilled to find out that we are expecting! Up until this point, we have used intense fertility treatments to conceive and have never been able to get pregnant on our own. We had pretty much given up on the idea of conceiving on our own and we were exploring adoption and saving for the possibility of more fertility treatments. The day before Hubby's birthday, I took a pregnancy test and it was positive. I was shocked, as we hadn't pursued any fertility treatments. I took several more tests (all positive) and we were both so excited! We have had 2 ultrasounds and everything is looking good! 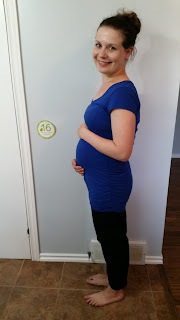 I am currently 16 weeks pregnant and due at the end of December! My goals have had to shift because of our good news, but I truly believe that I am still keeping in line with most of them. June went well and I am happy to share my progress with you. #1) Complete a No-Spend Year. 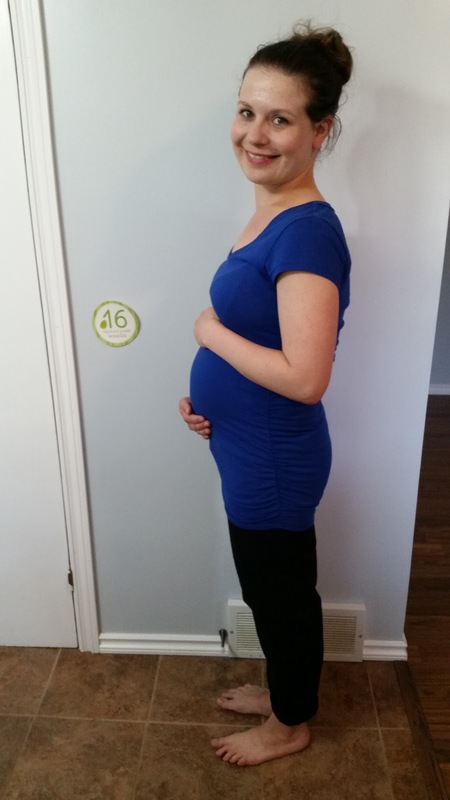 Our thrilling (but unexpected) pregnancy meant that I have had to break my no-spend year. I did not anticipate the possibility of pregnancy. I have tried to keep my spending to a minimum, but I still needed to purchase a few essentials. After our miscarriage last year, I was feeling completely discouraged. I sold most of our baby items and gave away all of my maternity clothes. This meant that my changing body had nothing to wear! A good friend gave me back most of my maternity clothes and also passed on a bunch of her own, which was wonderful. The only thing is that I will be pregnant through the Summer, Fall and Winter. The maternity clothes that were passed on to me are going to work perfectly for Fall and Winter. Unfortunately, there was very little that was Summer appropriate. We have had an extremely hot Spring and Summer so I needed proper maternity attire. I bought several items for myself. I have also had to purchase new bras and underwear. I shopped sales where I could and I built a decent Capsule for myself. (I hope to share it with you soon!) It is important to have proper clothes that are comfortable and my regular items have not fit me for quite some time! Aside from the maternity attire, I stuck to my No-Spend Year in June. I did a good job with this goal. I have been ensuring that I get adequate sleep. It is way easier when my eyes don't want to stay open after 10 pm! LOL! I also completed a 30 day fitness challenge in June. I was able to be active 28 days out of 30. I missed 2 days due to migraines. Staying active is not only good for my health (and the pregnancy!) but it is so important to my mental health. I feel much calmer, more resilient and stronger when I am active. The challenge was great because it helped keep me motivated even when I was tired and didn't want to do anything active. This goal went well this month. There were very few challenges to our family time in June. #4) Start School In September. I am back in research mode, trying to decide the best way to pursue my education. The pregnancy will change the time that I have available and I want to take that into consideration when making decisions. #5) Learn more about traditional prayers and incorporate them into my prayer life. I wasn't as good at incorporating the prayers into my prayer life in June. I will work to improve that in July! #6) Establish a routine for the blog and stick to the blog's vision. I was better about posting this month. I have had a few difficult times with feeling sick and having migraines. Often those were the biggest obstacles to meeting my goal. At this point, I am choosing to roll with how I am feeling (especially since it is due to a fantastic reason!). If the blog has to be put on the back-burner a time or two, that is okay. My health and my pregnancy has to come first. I am learning to accept that I can't do it all and that is okay. Good enough is good enough. I am sorry that my blog suffers but I sometimes I have to make tough choices. Whew! We are already half way through the year! I am happy with my progress and I will continue to work towards my goals for the rest of the year. How are your goals going? I would love to hear all about it! Thanks, Trista! It is hard to do everything when you feel sick. I am glad I am not the only one who lets blogging slide when that happens! You did great with your goals this month, even while coping with your unexpected (but wonderful!) pregnancy!